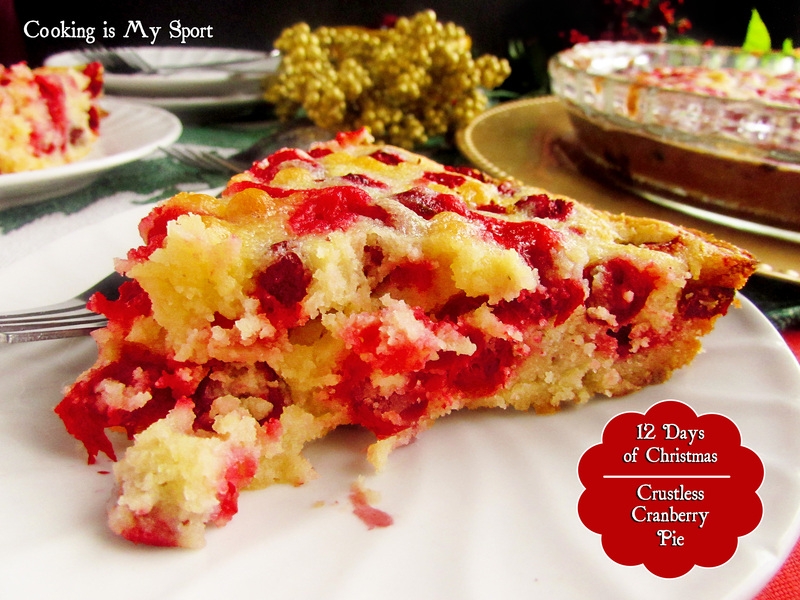 It’s Day 5 of the 12 Days of Christmas series on the blog- and 9 days left until Christmas. I have no idea how this has happened. The only ‘negative’ aspect of Christmas for me is that it’s over way too soon. And then after that, there’s just January….and the long endless winter. So let’s not think about that right now. Let’s focus on something else. I’ve never had the opportunity to host a holiday party. For one thing, I live in an apartment which isn’t the ideal amount of space for something like that. For another, I’m an introvert- so my guest list for a party would be almost laughably small. But that’s only the reality of the situation. If I were speaking in ideal hypotheticals, the situation would be completely different. 1. President Barack Obama & his wife, Michelle- this one’s a no brainer. Who wouldn’t love to cook for the leader of their country? Plus there’s just a lot of questions I’d love to pick his and her brains over. 2. Pastor Joseph Prince- Joseph Prince is a pastor from a mega-church in Singapore; I adore his ministry and message and try to buy everything of his that I can get my hands on. He has a fresh, empowering perspective of the Christian faith that is truly inspiring. He’d be a great guest to have at my Christmas party to talk with, as well as have the honor to feed. 3. Sunny Anderson- Sunny is a famous Food Network personality. I LOVE her style of cooking; it’s delicious but not too fancy at the same time, so I wouldn’t be intimidated to have her eat my food. And if something did happen to ‘go wrong’ in the kitchen, she could be there to step in and save the day if need be. Plus, her name really does seem to match her disposition so I think she’d bring a lot of life to a dinner party. 4. Robert Downey Jr.- Number one: he’s eye candy. But number two, he also has a really wry sense of humor that I just love. Everything that comes out of this guy’s mouth is really witty and I have a serious weakness for men that can make me laugh. Playing a game of Charades in a group with RDJ would pretty much be the highlight of a Christmas party, I’m pretty sure. 5. Steve Carrell (as Michael Scott from “The Office”)- I’m really not sure how I would pull this one off. Maybe in an ideal situation I could offer Steve a specific amount of money to stay in character for the whole night, but I know for sure that hosting a party with Michael Scott would truly be an unforgettably awesome (however crazy) experience. 6. Tina Fey & Amy Poehler- Again, this for obvious humor purposes. And, they have to come together as a package deal. No compromise on that. 7. Dianne Reeves- Dianne is one of my all time favorite jazz vocalists. Her voice is like liquid gold in my ears; she would provide the perfect entertainment for the party. 8. Harry Connick Jr.-Eye candy. To the nth degree. Add to all that his flawless voice, and he’s a shoe in for the party. He and Dianne serenading the party with “The Christmas Song” would bring the house down. 9. General Colin Powell- Although his political choices didn’t always agree with mine, I will still always have a great deal of respect for this man. His impressive, extensive military service record alone makes him a guest that would be an honor to serve a Christmas dinner to, but I also think he’d be a great guy to have a conversation with about life in general (no pun intended). 10. Angelina Jolie- There’s really no deep, meaningful reason for why I would invite her to a Christmas party. For some reason, I’ve just always really liked her. Apart from being a phenomenal actress, I think she’s someone I’d get along with and could hold a pretty long conversation with about things. And I suppose she could bring Brad and their kids too. I’d definitely have multiple desserts at what would now be a very crowded Christmas party, and this ‘pie’ would certainly be one of them. As you can probably tell, it isn’t a pie in the classic sense of what most of us identify with as pie. But it’s also not really a cake either. Here’s the thing: while it’s baking, the bottom and edges become browned and chewy to the point of forming a crunchy kind of ‘crust’ that contrasts perfectly with the soft and moist center. 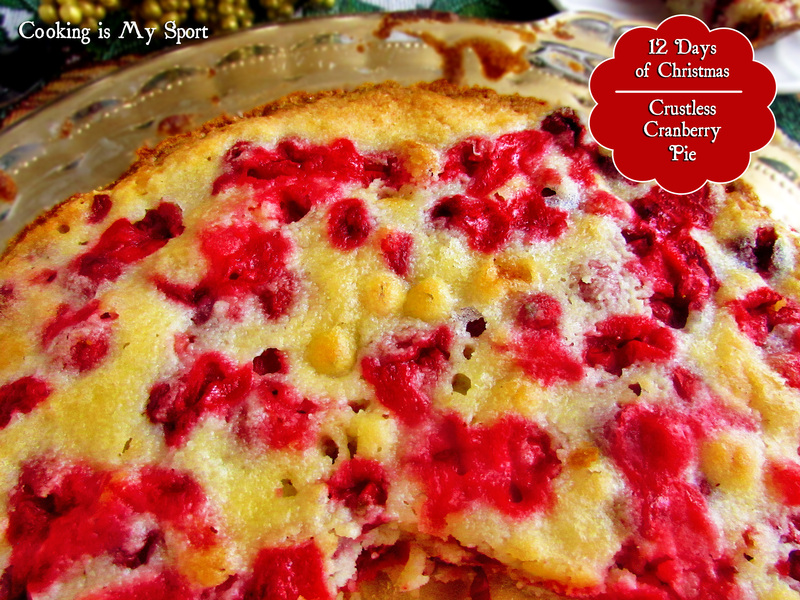 The cranberries give it a tartness that is well balanced with the sweetness of the sugar and almond extract. Add to that the fact that this dessert takes literally about 5 minutes to put together, and you’ve got a real winner on your hands here. 1. Preheat oven to 350 degrees F . Grease one 9 inch pie pan. 2. Combine the flour, sugar, and salt. Stir in the cranberries and the walnuts, and toss to coat. Stir in the butter, beaten eggs, and almond extract. Spread the batter into the prepared pan. 3. Bake at 350 degrees F for 40 minutes, or until a wooden pick inserted near the center comes out clean. This looks great! 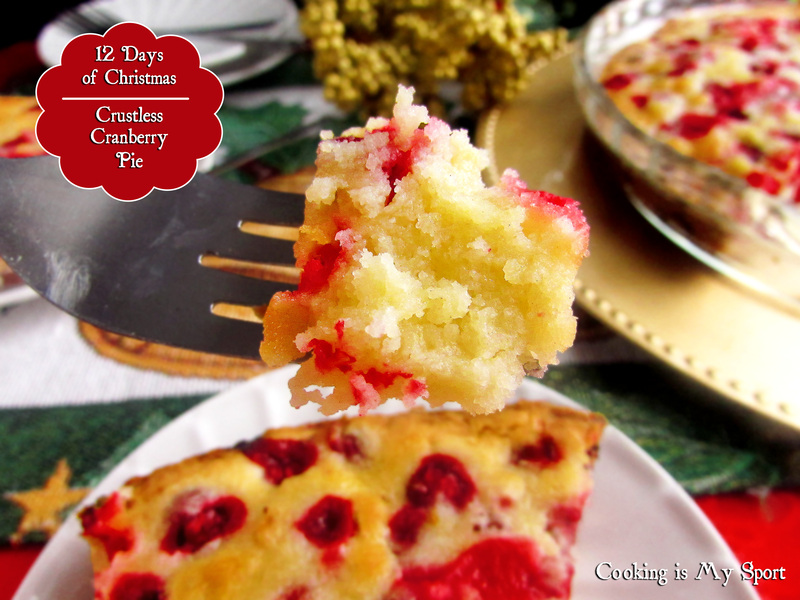 I wish my girls liked cranberries because I absolutely LOVE them and this looks so yummy! You know, the people in my house really aren’t cranberry fans either and they still gobbled this up, so maybe you should still give it a try. Thank you Serena! Great cake, great guest list – you’ll need some table for that party! Yeah- it’d be pretty crowded, but my hypothetical ideal table could handle it lol Thanks Ginger! 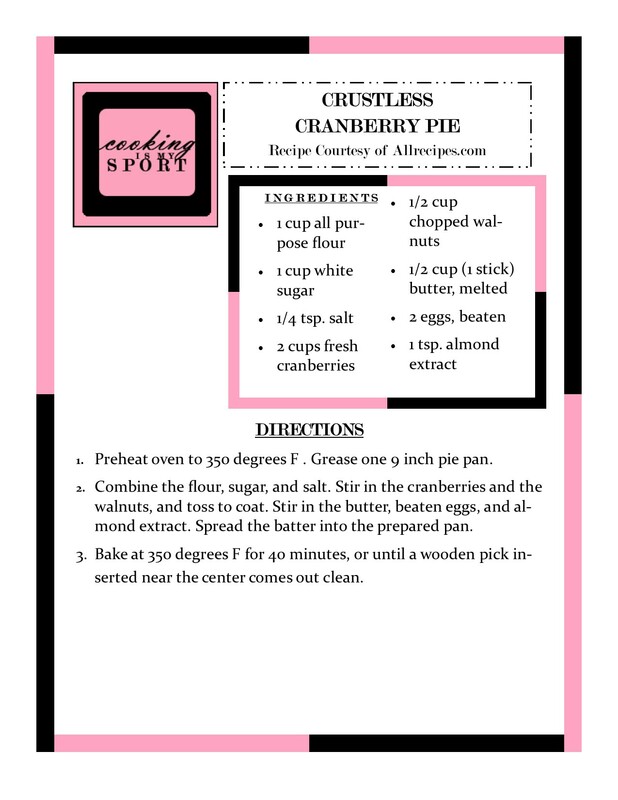 Love your luscious crustless pie, I would like to have you at my dinner party!! If that group shows up, call me and I will serve the pie! Such a pretty pie! 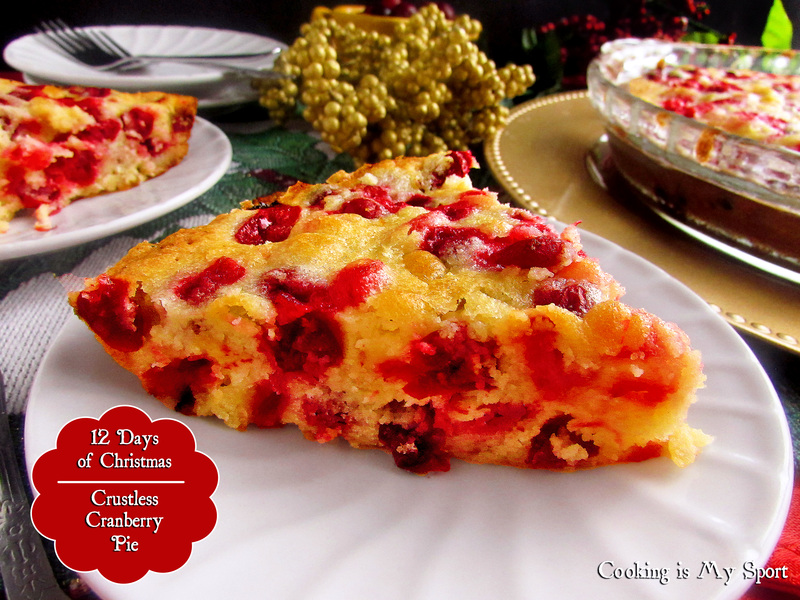 What a perfect dessert for the holidays! I like the addition of almond extract. At your party, if I was invited, I would like to be seated next to Steve Carrell, please! :) I love his sense of humor, and he seems like such a genuinely nice person. Most of all, I would like to meet you, though! Great post!